A Timeline of Grant Kings fraudulent offending from 1982 – Present day may be found here. This website is dedicated to exposing what the author believes to be the misleading and fraudulent practices of NZ Sleepouts, and the owner, Mr Grant Norman King (Sociopath: http://www.mcafee.cc/Bin/sb.html) of 46 K – actually, it is 46B – go here Garfield Rd, Helensville (Mobile #: 022018 9290) Email [email protected] or [email protected] home phone (09) 4207564 or (09) 4208836. The author of this website is Steve Taylor, a former client of NZ Sleepouts, who paid NZ Sleepouts proprietor Grant King $23,500.00 for the purchase of a Sleepout which was not built by NZ Sleepouts. In August 2011, my 76 year old father, a resident of Waiheke Island, had a heart attack, an event that was promptly followed by a triple bypass operation. Unable to live by himself, and in need of extended care and recovery, my father came to live with my wife and I, and we decided that the best way for Dad to retain his independence (whilst feeling safe and secure) was to build him an 8 x 3 fully self contained Sleepout on our property. After contacting several companies (all of which advised us that it was possible to build such a dwelling at our house), we asked for several quotes for the build. Grant King of NZ Sleepouts was one of the builders we approached to quote for the job. On assessing the site in our initial meeting, Grant King advised me that I would be able to build a Sleepout on our property. I asked Grant King about whether or not we needed a permit for the build. Grant King advised me that I would not need a permit, as the Council requirements were “grey areas with regard to minor units as a result of the recent Supercity amalgamation – no-one can agree on what the rules are, they are quite lost, really”. Grant King was the second builder from a specialist Sleepout supply company to tell us that a permit was not required for the job. On the basis of Grant Kings advice to me that a permit was not required to complete the build, I gave the go-ahead for the unit to be constructed, and paid a requested $20,000 deposit to Grant King to begin the work (which I was advised by Grant King was for the purchase of building materials). After multiple delays and reassurances by Grant King (some delays related to weather and ground preparation requirements, but many delays related to promises made by Grant King and not delivered on: 25 of these at last count), a subsequent Council inspection on site resulted in me being advised that I would actually need a permit to build the Sleepout. In a meeting with Grant King on 20/11/11, (who admitted no liability for the advice he had given me previously), it was agreed that Grant King would build the unit offsite at his factory in Helensville, and the unit would be sold on Trade Me, as we couldn’t now have the building on site, as I didn’t have a permit to build it on site, and it was going to cost an additionally estimated $10,000 for the permit process via Council. Grant King then requested an additional $3500.00 from us (my wife was witness to the meeting) so that he could hire some extra staff to complete the build by 1/12/11. On 1/12/11, I made contact with Grant King to ascertain that the job had been completed, and was advised by Grant King that he had not completed the build by the agreed date, as he had been building another clients Sleepout. I promptly visited the factory site of NZ Sleepouts (103B Mill Rd, Helensville) in Helensville, and discovered that the $3500 I had paid to Grant King to complete the build of my Sleepout, had been used by Grant King to build the Sleepout of another client – an act of fraud. I was shown the progress on our Sleepout – for our $23,500 investment, I found one floor and two erected half wall panels in Grant Kings factory. Grant King was not able to provide any evidence of building material purchase receipts for our job, and has consistently refused to tell me where the money had been spent that I have paid him to date. · Breach of Duty of Care. · Personal Liability for Claim of Damages. · Breach of the Fair Trading Act 1986. · Breach of the Consumer Guarantees Act 1993. · Deposit Refund due to Breach of Contract. · Court-imposed Caveat over other buildings and assets owned by NZ Sleepouts, Swale Earthmovers, and / or Grant King. · Breach of Implied Statutory Warranties under the Building Act. · Breach of Implied Statutory Warranties under the Building Code. · Breach of Implied Statutory Warranties under the Resource Management Act. Again, on legal advice, I then cancelled the Contract with Grant King & NZ Sleepouts to build the Sleepout, and requested a refund of the money I had paid to Grant King for multiple breaches of Contract – Grant King refused to give me the refund, and I took legal action against Grant King. The Civil Court process took 18 months, and progressed to a Judicial Settlement Conference in 2013, at which Grant King refused to settle. I was advised by the Judge that, while I had a very strong case against Grant King, it would cost an additional $15,000 to progress the case to trial, and that even if I won the case, I would not secure reparation, as Grant King was an undischarged bankrupt. Between August 2011 & December 2011, Grant King issued no less than 25 assurances to me that the Sleepout I had paid for on the basis of advice that Grant King had given to me would be built – every single assurance given to me was a lie. Since this website went live in 2011, over 70 other fraud victims of Grant King have come forward, and their stories are profiled on this website as well. I act as the Convenor for this victims group, and we informally call ourselves the GNKASS Network (Grant Norman King Accountability Support Society). The combined efforts of our group has resulted in 8 statutory convictions being secured against Grant King to date. This is a cautionary story that is shared for one purpose – to minimise the possibility of Grant King creating any more fraud victims. Over 160,000 unique visitors have perused this website, and we regularly receive updates from the general public about Grant Kings movements, attempted business scams, and location – all of this information is published, and forwarded to appropriate authorities, with which we enjoy close and supportive relationships. My family and I have known GNK for a number of years now-i will not post the specifics of how or why, save that it was not out of a desire to deal with him. However, through friends and other acquaintences, we have heard a great deal about GNK, and quite frankly, I am glad he is getting what is coming to him. However, if you do, then in the words of Stephen to William Wallace in the movie Braveheart, “You’re fooked”. If you actually knew the guy you’d realise that you’re just being a cheap fag – learn to stop messing around in people’s lives. Also, I’m not 100% but I think the use of photos above of him are also privacy breaches. Gonna check that. And what makes you so righteous? You saying that your perfect? Never done anything wrong? Stick to getting your own life before trying to ruin other people’s. Him, and his daughter are both good people, and since retarded people like you do not seem to see people for what they are, but only see the flaws, you’re hardly worth it. But in the case that this article is a privacy breach, then we’ll see what happens to you for that. If this is honestly your opinion, you are part of the problem. Hey Jordan – bite me. Of course, you could simply be GNK in one of his multiple identities – tell you what, post up your residential address and home phone number, and I will cross check the validity of your identity, just to be sure? And then there is the fact that, if your “mate” had done right by me and my own family at the outset, he wouldn’t be in the continual and blazing glare of public accountability, now would he? Mind you Jordan, I did warn GNK of the natural consequences of his actions -he somehow seemed to believe that he was above consequence – oooopss! I’m not gonna leave my details with someone I don’t know. Oh but Jordan: your previous comment was simply saturated in the assumption that you “knew” me – getting cold feet, are we? Or are you just another one of GNK’s multiple aliases? Put up, or shut up. Hi John thanks for your support. No, you are right, professional registration is no guarantee of a positive outcome either. People like King can only flourish if people like you and me don’t hold him to account. The Courts are bound by precedent, and are still quite offender-centred in their ideology. The Court of public opinion however doesn’t negotiate with ideology – it just passes judgement. I don’t anticipate that King will ever be able to run a business again, given the ongoing publicity and internet presence he now has. What is unfortunate is that it has taken 30 years for someone to come along (me), and make him visible to the wider public. 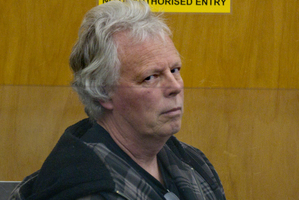 Grant Norman King currently living in Taumarunui at Tumoana st. One house away from Turaki primary/intermediate school.